Alloy wheels make a difference to the style and value of your car, they are a great selling point when you are looking to change vehicles....... if they are in good condition! Unfortunately, alloy wheels are prone to stone chips and curb scratches, small cracks and buckles. Alloy wheel repairs can give wheels a new lease of life and improve the overall appearance, style and value of your vehicle. 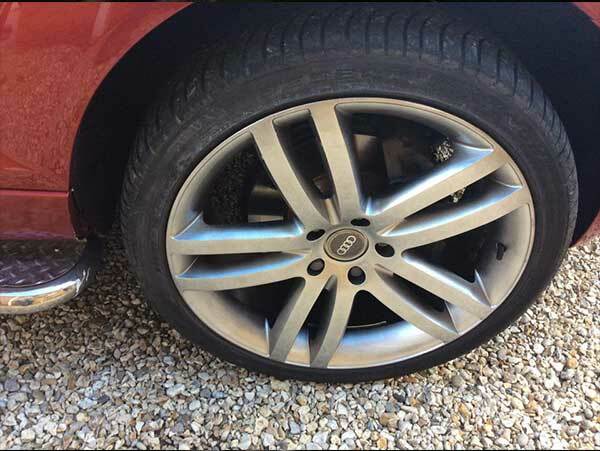 New Forest Sprays specialise in a range of different alloy wheel refurbishment and repair services using the latest machinery and well experienced technicians who pride themselves on their attention to detail and high standard of workmanship. A wide spectrum of modern vehicles are fitted with diamond cut alloy wheels and because of their highly polished finish, they are prone to corrosion and damage. Our diamond cut alloy wheel repair service can reproduce this finish to restore their flawless and highly polished surface. The diamond cutting process involves removing a thin layer of alloy from the wheel using specialist lathing equipment before sandblasting any corrosion. The wheels are then primed and colour added before being finished to a mirror finish on a lathe. 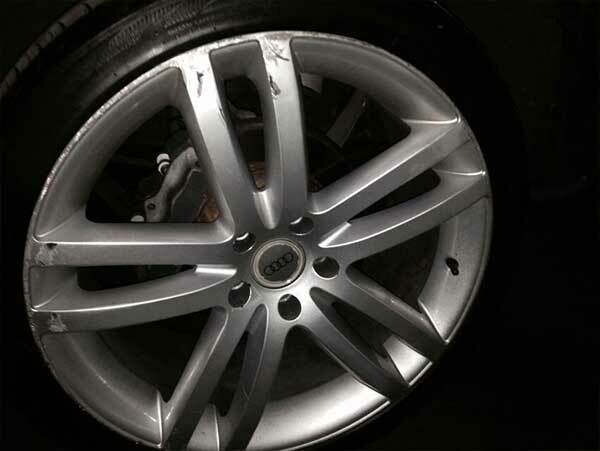 Because of the stripping process, diamond cutting alloy wheel repairs can only be carried out a number of times. Powder coated wheel refurbishment is the most commonly used method of repairing damaged alloys. The process involves removing layers of laquer and paint to create a smooth surface, often back to bare metal, for respray. Curb damage and dents are then removed or filled and any severe corrosion dealt with before the alloys are primed and powder coated to prevent further corrosion. Colour is then applied and baked on, followed by a powder laquer to add a layer of protection and produce a great finish. The colour added can be colour matched to your current alloys, or your desired specification and style by our highly skilled and talented alloy wheel refurbishment technicians. Pot holes and poorly finished roads can cause buckles or small cracks in the rim of your alloys. Using the latest in technology and machinery, we are able to repair small buckles and cracks during your alloy wheel refurbishment. Glow in the dark, glitter finish, colour coded....whatever your desired style, your customisation options are limitless and our experienced technicians thrive on pushing the creative boundaries. If we can meet your design and customisation requests, we will.